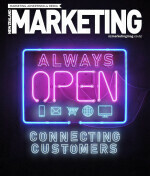 The latest issue of NZ Marketing came off the printers this week and is making its way to our subscribers. Delving into adland, the 96 pages cover the state of your industry in 2019, the challenges it faces and how it’s evolving. To subscribe to NZ Marketing click here. We continue on our ‘Agency Perceptions’ research with TRA by opening the floor to marketers to learn their frustrations, changing needs, what they look for in agencies and how they chose the right partners. Georgina Harris delves into ad land, speaking to agencies and clients about the latest challenges, recent trends and what the industry would like to see from 2019. Erin McKenzie takes a look at IP partnerships and how agencies and clients are sharing the load for better results. Graham Medcalf takes a look at how 99 is rediscovering its mojo. Together’s Kris Hadley and Rufus Chuter on setting up their own agency and carving a new path in the industry. Graham Medcalf investigates the how the PR industry is combating a world where consumers are wary of fake news. NZ Marketing completes the ten year challenge to see how the industry, and the magazine, has changed in the last decade.